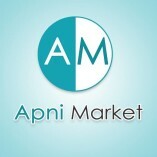 Apni Market is an online marketplace where small, medium and large businesses of all types can register themselves and start selling their products/services online. Apni Market provides local businesses with their own online store so that they can reach and sell to more customers effortlessly, especially to the ones that are near them. an online marketplace for selling and buying products/services. Apnimarket accommodates you with the benefits of both an online store and an e-commerce website in order to enhance your overall online buying and selling experience.